In Azle, most homeowners are not concerned about their septic system at all, that is, until there is a serious issue. A septic system’s maintenance is up to the homeowner and is essential to the proper operation of the system. Maintenance can enhance the operation of your septic system and keep your tank healthy, inspecting your system regularly and having your tank pumped and cleaned is essential. In order to keep your system from developing serious, long term problems, a comprehensive maintenance program should be followed every three to five years. 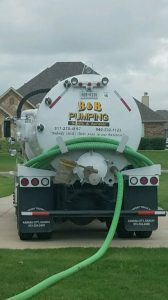 B&B Pumping is proud to serve the people of Azle, Texas with septic tank pumping and maintenance. 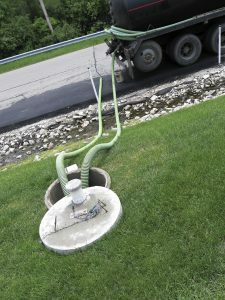 Generally, when you call one of those other septic tank pumping companies you are put on a waiting list at B&B Pumping we can usually get to your tank in the same day. If you are in doubt, please give us a call and we can determine if your system needs to be pumped. Do You Need To Pump the Tank This Year? There are many different factors that can contribute to your tank needing to be pumped. Due to the biological process at work, there are all sorts of bacteria that break down the solid waste, but only to a point. What is left of the solid waste falls to the bottom of the tank and forms a layer of sediment. This sediment can build up to the point that the drain field will become plugged. Dumping chemicals down the drain can cause the natural balance in your tank to become disrupted and lead to increased sediment. Contact B&B Pumping in Azle Today! Regardless of whether you have an aerobic or a conventional septic system, we will pump and clean the system. If you live in the Azle area please give us a call and let us take care of your septic system!